Students cross the road on Forbes Avenue in Oakland on Wednesday, August 31, 2016. 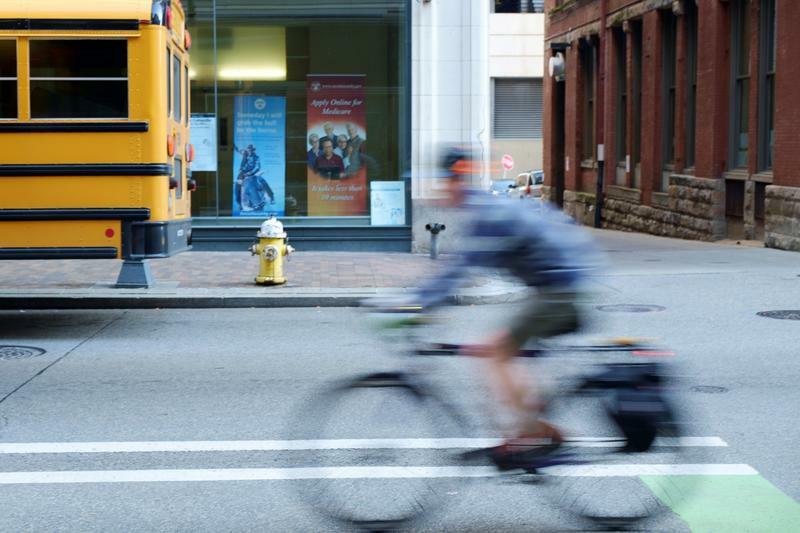 Advocates from Lawrenceville-based advocacy group Bike Pittsburgh said a fatal accident this week between a motorist and cyclist could have been prevented. 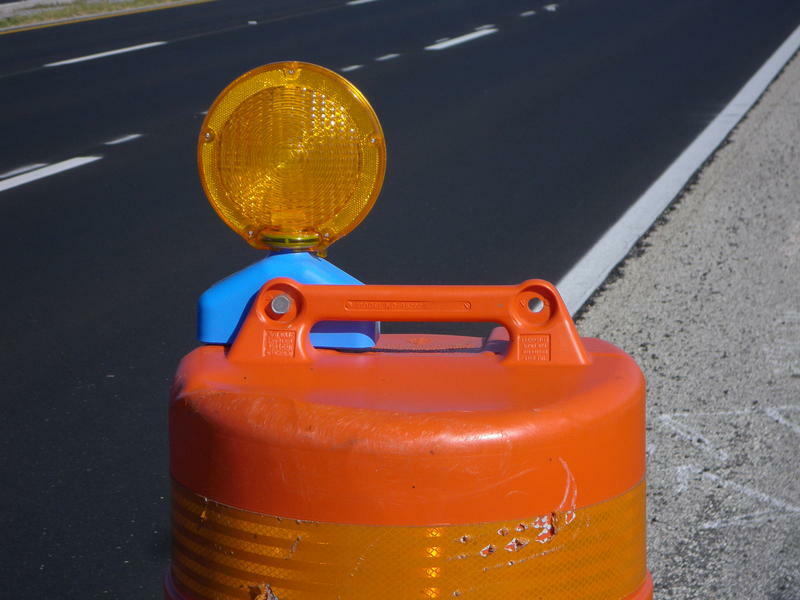 Advocacy Director Eric Boerer said various stakeholders had requested the Pennsylvania Department of Transportation include bike lanes in West Carson’s reconstruction where the accident occurred. That segment of road just reopened last week following a three-year, $42 million revamp. PennDOT representatives have said there was not space to add a bike lane and instead added a vehicle turn lane. 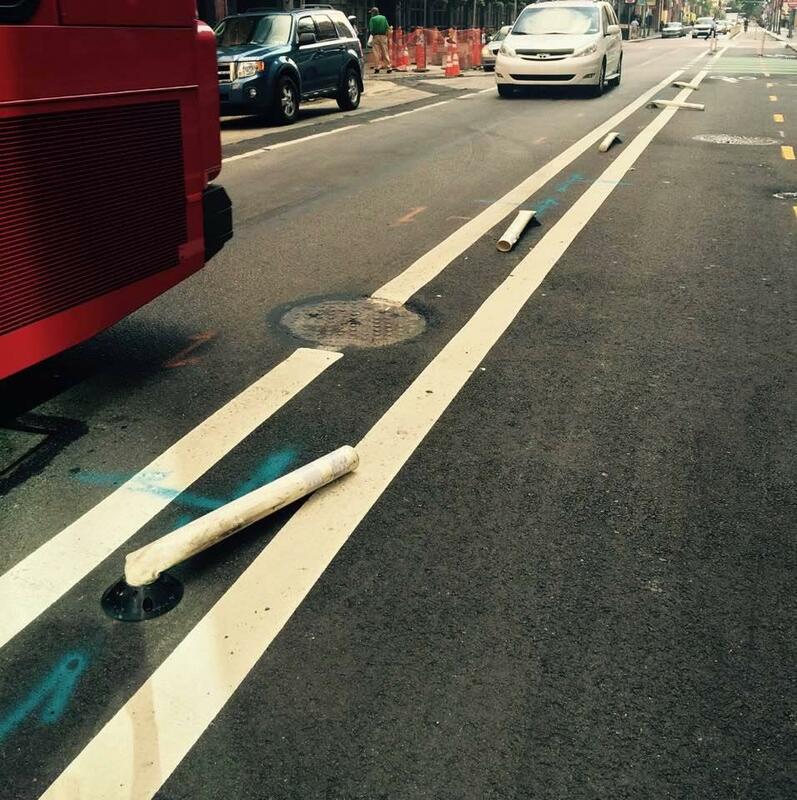 Penn Avenue bike lane barriers were crushed during rush hour traffic on Friday, September 1, 2016. Boerer said connectivity is one key to keeping cyclists safe. 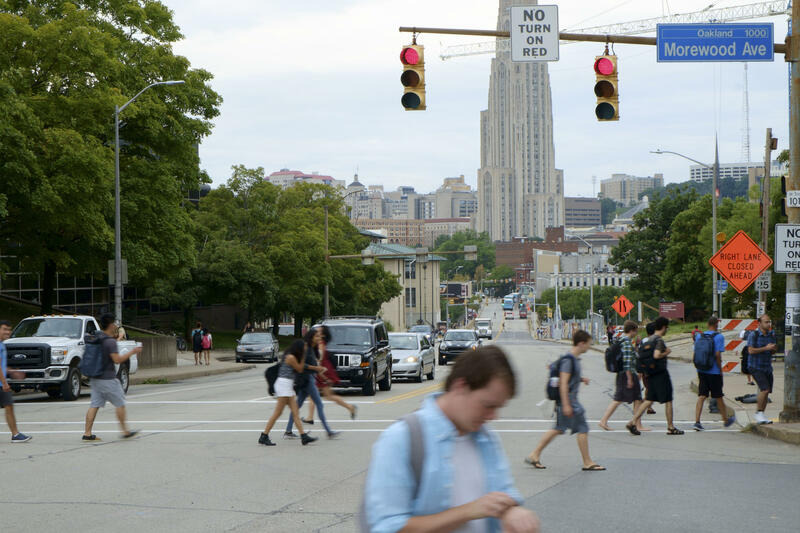 New $10-12 million safety improvement proposals including a dedicated Forbes Avenue bike lane for pedestrians and cyclists in Oakland were announced this week by Carnegie Mellon University and PennDOT. The plans are garnering extra attention after the cyclist fatality. More than 200 people attended the proposal announcement meeting late Wednesday. Traffic signal upgrades and safer crosswalks were also on the list. Boerer said he’s happy about the plan, but it doesn’t go far enough. “It’s a hugely needed connection. We hope it slows cars down, actually do the speed limit through there. Because right now it’s kind of a drag race through the campus,” he said. 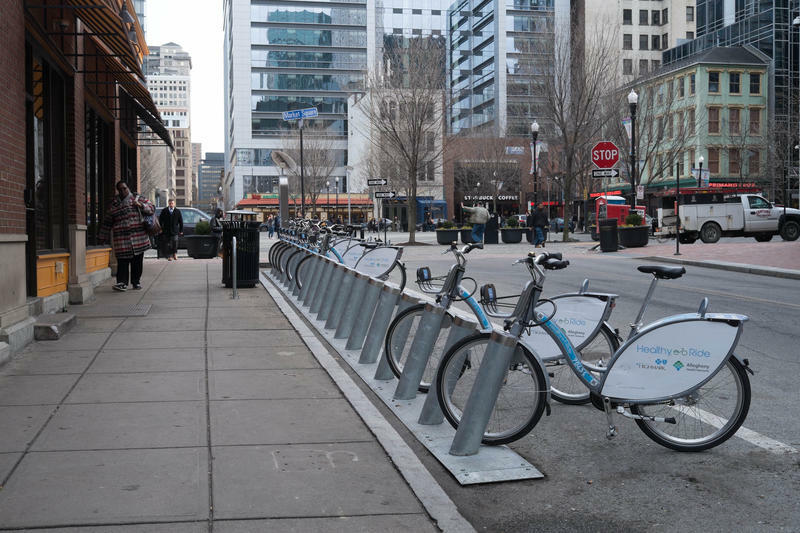 Boerer said he’d like to see the bike lanes extend beyond CMU and the University of Pittsburgh to connect riders to Downtown. 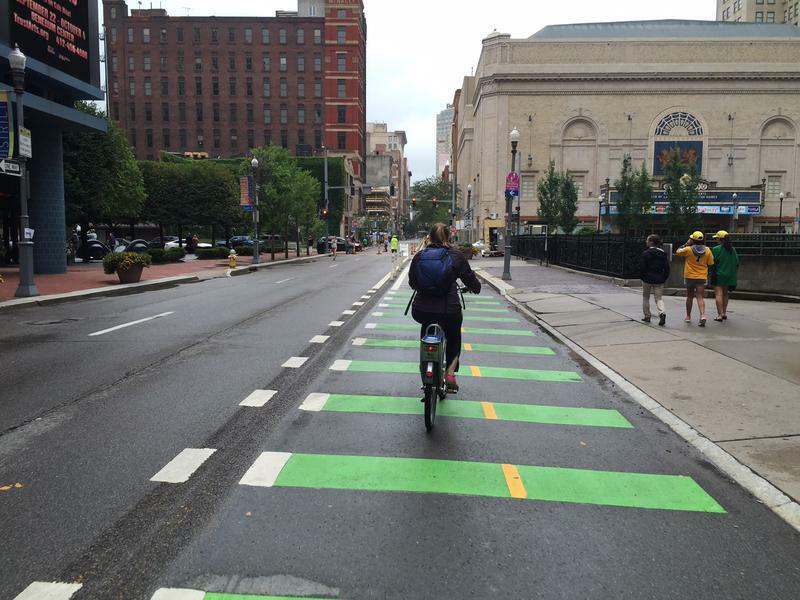 Pittsburgh’s comprehensive bike plan is expected soon. Bike Pittsburgh organizers have scheduled a memorial bike ride at 7 p.m. Tuesday, Sept. 9 in protest of the struck cyclist. 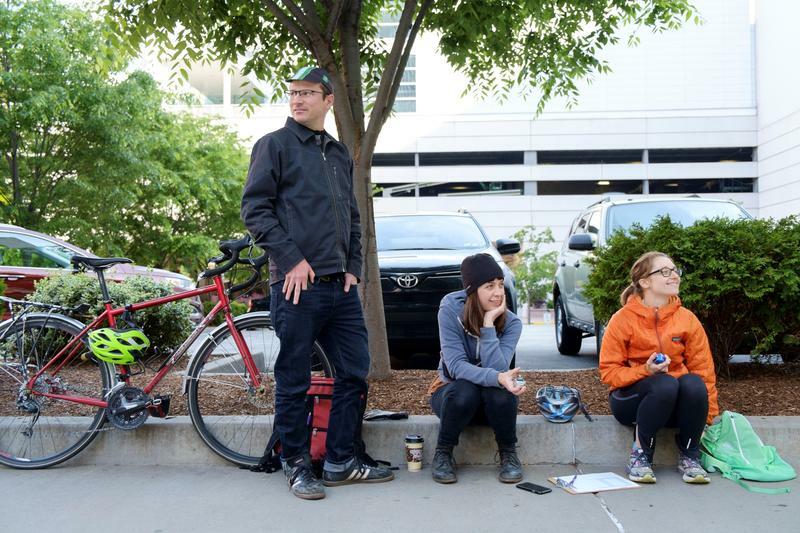 More than 200 people pedaled out to Bike Pittsburgh's city-wide celebration of national Bike to Work Day on Friday. The Lawrenceville-based nonprofit coordinated coffee meet-ups and breakfast stations across the city.